IPL 2019 is a lot different compared to the other seasons so far. One of the main reasons for this is the World cup that is coming up later next month. 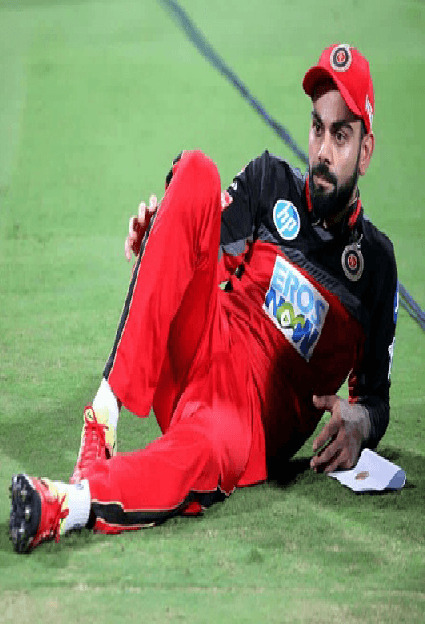 Before this year’s IPL had started, there were a number of concerns amongst fans and players about the fatigue factor and the possibilities of injury in such a rigorous tournament. Playing 14 games in a short span of time with a lot of travelling can be very taxing mentally and physically. We saw a number of players pulling out of this year’s IPL citing the same reason. Amongst the players who are a part of the IPL this season, a number of overseas players will pull out before the end of IPL as well to preserve themselves. But the Indian players are expected to play throughout the tournament with no break. Virat Kohli had mentioned that it is up to the individual players to take care of themselves and keep themselves fit for the world cup. But does Virat Kohli himself need a break before the World cup? He is one the busiest players going around as he plays all three formats for India not just as a Batsman but also as a captain. Before starting this year’s IPL, Kohli talked about enjoying the tournament and playing with freedom. Unfortunately, things haven’t really gone that way for him and RCB has they have now lost all 5 matches that they have played. You can see the kind of pressure that Kohli feels when he steps on the field after every loss. Although Virat Kohli, the batsman is still on top of his game as he showed against the Kolkata Knight Riders getting a brilliant 84 from just 49 balls, taking a break might not be the worst thing for Kohli at this point in time. Especially considering the RCB’s position in this year’s IPL. After losing their first 5 games, it is going to be very difficult for RCB to bounce back from this position. With the kind of net run rate that they have, they might just have to win all their remaining games that they have, to qualify in the top 4. Looking at the history of this tournament, there has been only one instance where a team after losing the first 5 matches has managed to qualify. The Mumbai Indians in 2014, after having a horrible start in the UAE leg of the tournament losing 5 matches to start with, had a miraculous run after coming to India including the famous match against the Rajasthan Royals where they chased 190 in just 14.3 overs to qualify into the playoffs. But in that case, change of venue and coming back to India for the second half of the tournament helped them change their fortunes. In this format of the game in a tournament like IPL where every team is strong, it is difficult to win every game and hence RCB’s chances to qualify from this point is very low. Considering all this, will it be the worst decision for BCCI to rest Kohli from IPL? Speaking to the Hindustan Times, a senior BCCI Executive has said that injury and workload is a concern and they have spoken to franchises about resting key players like Virat Kohli, but said it is not possible to convince them as they pay a huge amount of money for the players. But, World cup is definitely the number one priority, particularly considering the RCB don’t have much of a chance in this IPL, giving some time off the game for Kohli, can benefit him, particularly as captain. The world cup is a one-and-a-half-month long tournament where there will be a lot of pressure as the tournament goes along. The last thing India need is the captain going into the world cup with a tired body and an exhausted mind. It must be noted that, apart from India, only New Zealand and South Africa have their captains playing in this year’s IPL and even they are just playing as pure Batsman. But knowing Virat Kohli, he is not going to back out at this stage for RCB when they are completely down and out. He is the kind of person who will look to inspire them and bring them out of this misery to finish off with some pride. Having said that, considering the long term goal, even if he doesn’t pull out as a player, stepping down from captaincy might just help him take off the burden that he is carrying at the moment and can just enjoy as the great Batsman we know he is. RCB fans love Kohli playing for them and captaining the side, but even they would consider the World cup as the number one priority at this stage.